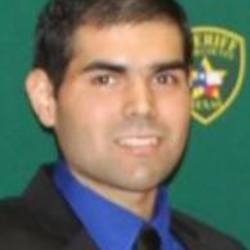 Police fatally shot Cesar Cuellar, 25, an off-duty sheriff's deputy Monday November 9, 2015 in North Laredo after they responded to a report of a suicide attempt. The shooting happened after a person reported to police at about 11 a.m. that she had received messages from Cuellar saying he wanted to harm himself, LPD said. Two officers who responded to the report encountered Cuellar at an apartment at Kirby and Eskimo drives. One of the officers opened fire after "repeated commands to the individual who was armed with a handgun," said Investigator Joe E. Baeza, LPD spokesman. Cuellar was taken to Doctors Hospital, where he was later pronounced dead.